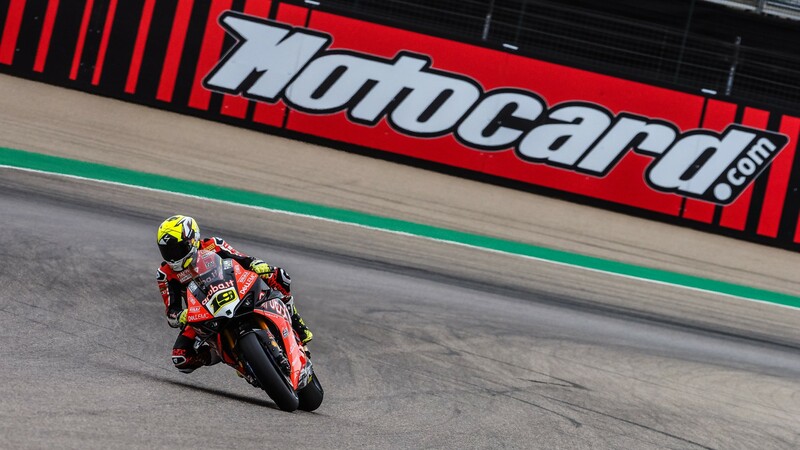 Whilst Alvaro Bautista may have made big gains at the front of the field for ARUBA.IT Racing – Ducati, it was Eugene Laverty (Team Goeleven) who was a stand-out improver as the WorldSBK title race heads to MotorLand Aragon. During the opening day at MotorLand Aragon itself, Laverty continued his improvements and shaved seven tenths off of his time from FP1. 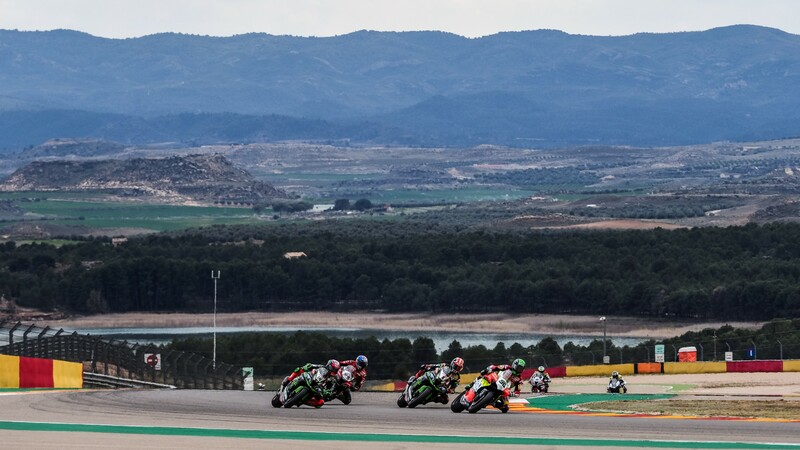 The Irishman, who has achieved a best finish of just ninth so far this season, completed day one at Aragon in fifth and was just 0.230s behind reigning four-time champion, Jonathan Rea (Kawasaki Racing Team WorldSBK). 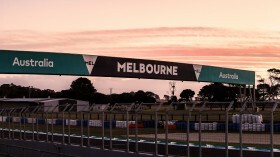 Completing a total of 33 laps throughout the opening day, Laverty cemented his position as the top Independent team rider, something that up until Aragon, had been held firmly by Rookie, Sandro Cortese (GRT Yamaha WorldSBK). 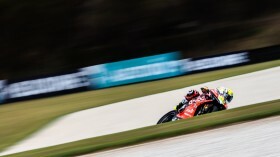 The 32-year-old will be looking to mount a realistic podium challenge on Saturday and Sunday, having only stepped on the MotorLand Aragon podium once, back in 2012. 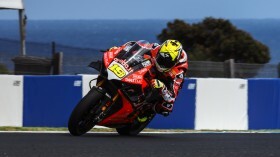 The 2013 World Superbike championship runner-up continued, stating: “I’m going to continue working and moving forward and try to aim for the podium soon. We are maybe not quite there yet, as we didn’t complete a race distance in Thailand and we missed some valuable time. It was clear today that after a few laps, we start to lose rear grip, so we are going to work on that so I can be strong for the race distance. 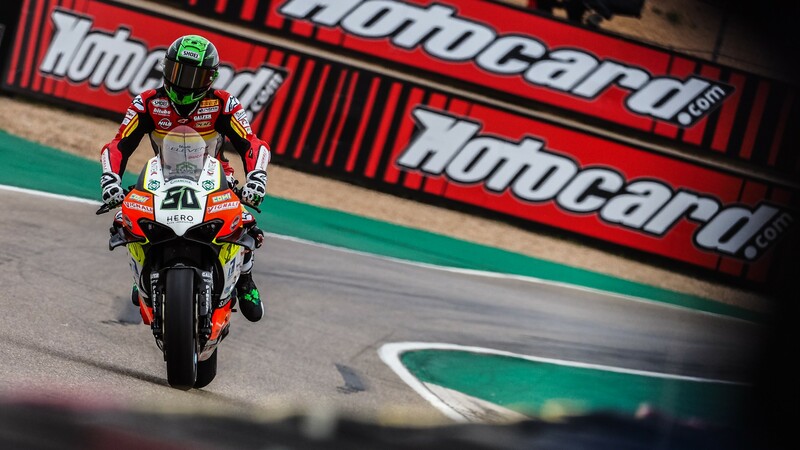 Should Laverty manage to achieve a podium this weekend, it would be his 20th in WorldSBK class and on a fourth different manufacturer, something that from the current field, only Leon Haslam and Marco Melandri have achieved in their careers. Follow Laverty’s progress through the Motocard Aragon Round weekend with the WorldSBK VideoPass!